made a tiny picci of this shoes and used glossy accents coloured with peomarkers cant see it too well keep it very minimal and for me that was tough lol!!! HELLO!!!! Welcome back to Craft Us Crazy challenges!!! We're so glad you joined us today! Be sure to check out the awesome offer our sponsor is extending to all our challenge participants!! KIMBERLY GREENLEE an independent Stampin' Up Consultant! Let us learn a little about Kimberly! Kimberly Greenlee has been nice enough to offer the below prize bundle...WOW CHECK IT OUT!! Like your card Sassy, it's stunning and sooooooooooo elegant. Fabulous design and colours. 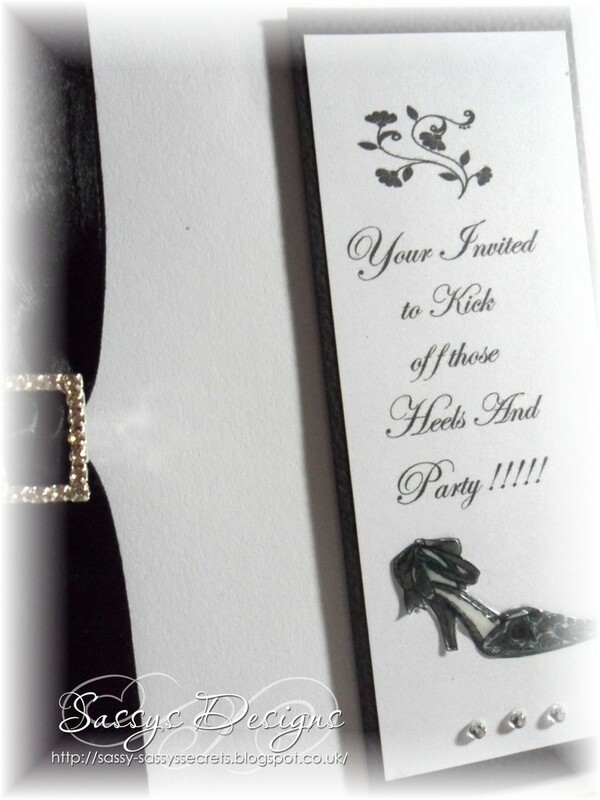 Gorgeous card sweetie it looks so classy & elegant. Lush ribbon & buckle. 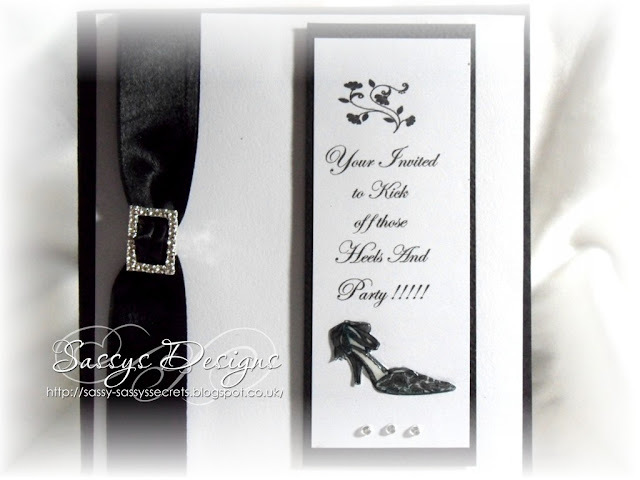 A very elegant card Sassy, I like the shoe the ribbon with that buckle. Such an elegant and stylish card, I love it!!! Wow Sassy you made some stunning cards while was away!! Wow! What an elegant card Sassy! Love your CAS style here!